At least 3,000 people sleep on the streets of Paris, according to the results of an unprecedented operation last week in France to account for the homeless in the French capital. 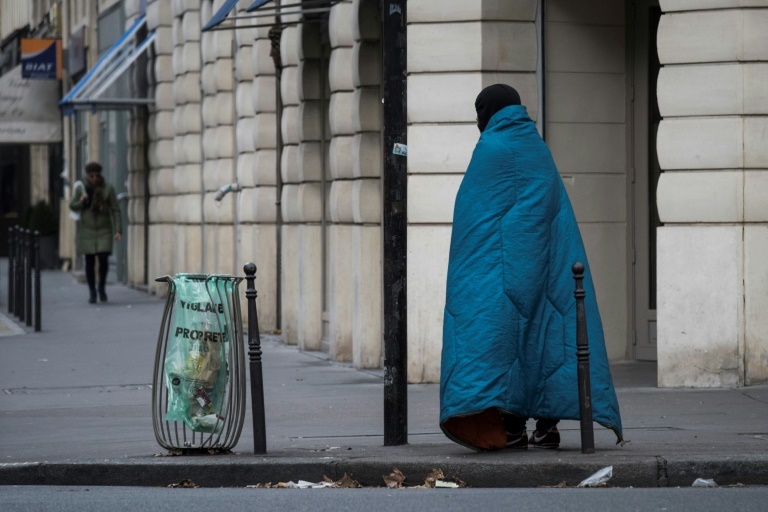 About 1,700 volunteers and 300 civil servants walked the streets of Paris on Thursday evening to count the number of people sleeping in the open air. They also interviewed these people about their housing and health problems, collecting data that Socialist Mayor Anne Hidalgo hopes will enable better policies to help the homeless. Deputy Mayor Bruno Julliard, who revealed the results on Wednesday, warned that the number - 2,952 people - was "probably far below reality", as they would add at least 672 people to temporary shelters because of Winter. Cities like Athens, Brussels and New York have also conducted official censuses of homeless people in recent years. French President Emmanuel Macron promised a roof last July for all people living on the streets before the end of 2017. Last month, he acknowledged that he had not reached his ambitious goal. People who visit Paris are often surprised by the poverty that exists in some parts of the capital, especially the ubiquitous beggars on the subway and the tents set up along the Canal de Saint-Martin. The result of this census is in line with previous estimates of associations.